GRS (Geophysical Research Satellite) was a geophysics experiment test built by the Cambridge Research Lab (CRL). 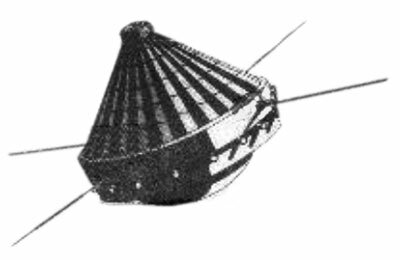 Data was obtained for 13 orbits, after which time the satellite ceased working due to a failure in the primary power supply. A magnetic mass spectrometer was flown to measure the distributions of the ion species in the topside ionosphere between 420 and 1200 km. All species having mass-to-charge ratios from 1 to 32 could be measured. The instrumentation for this experiment included a retarding potential analyzer that, through proper sequencing of appropriate voltages, was sensitive to photoelectrons having energies of up to 60 eV, positive ions of up to 30 eV.